record, the Rosary and Stations in full color. Personalize your selection with Gold Stamping. Gold Stamping charge: 2 lines for $20.00. The bonded leather covers of this distinctive Bible are available in choices of Black, White, Brown and Burgundy. 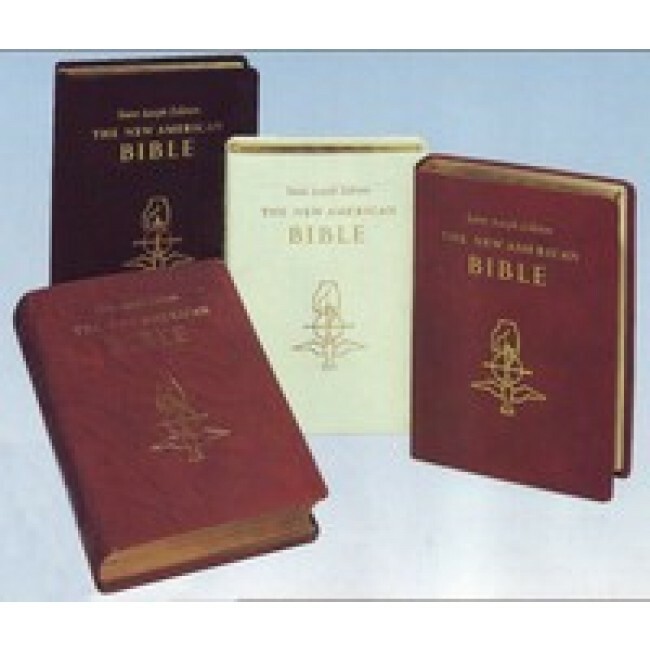 Over seventy photographs, a BIble dictionary, self-explaining maps, ribbon marker and the sewn binding add to the attractiveness of this edition. A symbol of the Holy Trinity is embossed in gold on the cover.